Sint-James Bridge No.85 seen from the South. Le Pont n°85 de Sint-James vu du Sud. Sint-James Bridge No.85 seen from the North. 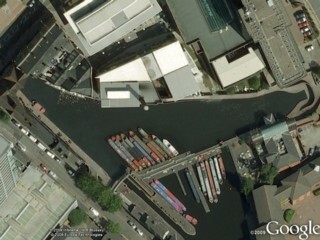 Sint-James Bridge No.85 seen by Google Earth. Le Pont n°85 de Sint-James vu par Google Earth. 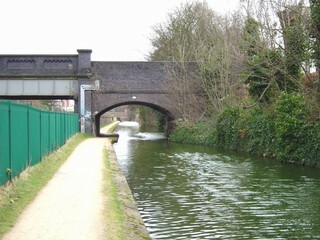 Islington Road Bridge No.86 seen from the South. Le Pont n°86 de l'Islington Road vu du Sud. 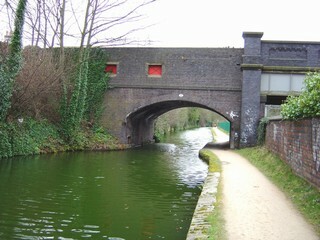 Islington Road Bridge No.86 seen from the North. Le Pont n°86 de l'Islington Road vu du Nord. 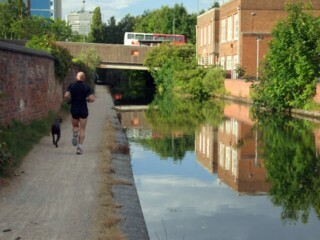 Islington Road Bridge No.86 seen by Google Earth. 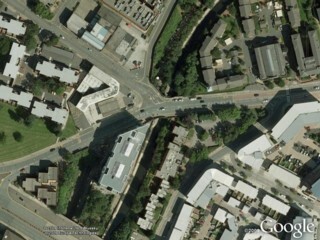 Le Pont n°86 de l'Islington Road vu par Google Earth. 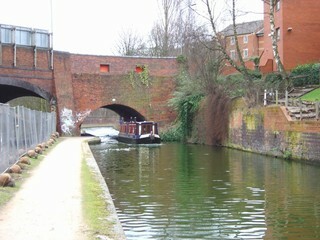 To the South of Edgbaston Bath Row Bridge No.87. Au Sud du Pont n°87 de l'Edgbaston Bath Row. 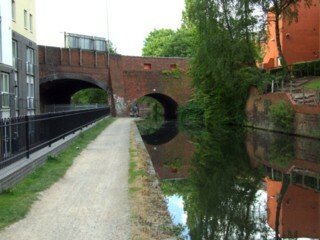 Edgbaston Bath Row Bridge No.87 seen from the South. 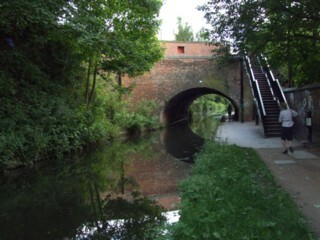 Le Pont n°87 de l'Edgbaston Bath Row vu du Sud. 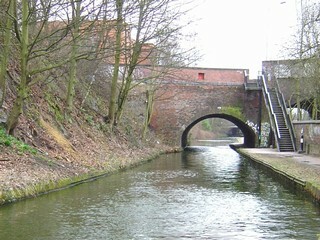 Edgbaston Bath Row Bridge No.87 seen from the North. 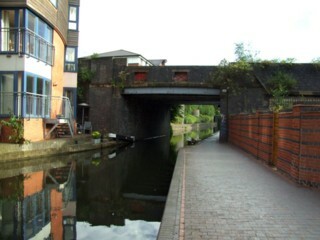 Le Pont n°87 de l'Edgbaston Bath Row vu du Nord. 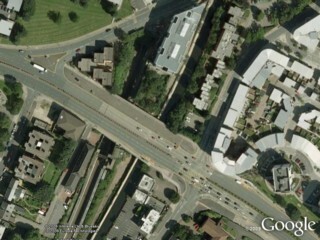 Edgbaston Bath Row Bridge No.87 seen by Google Earth. 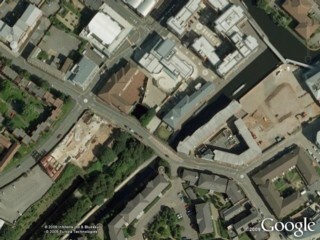 Le Pont n°87 de l'Edgbaston Bath Row vu par Google Earth. 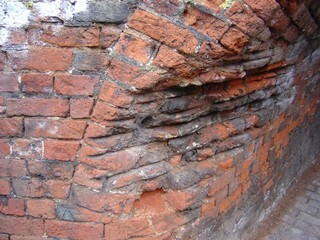 Edgbaston Bath Row Bridge No.87. 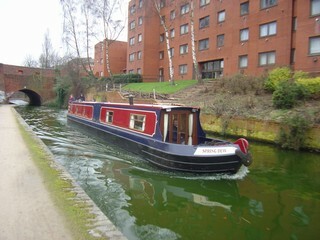 Le Pont n°87 de l'Edgbaston Bath Row. 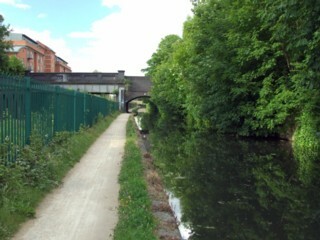 Looking to the South, the Worcester & Birmingham Canal to the North of Edgbaston Bath Row Bridge No.87. Les regards portés vers le Sud, le Canal de Worcester & Birmingham au Nord du Pont n°87 de l'Edgbaston Bath Row. 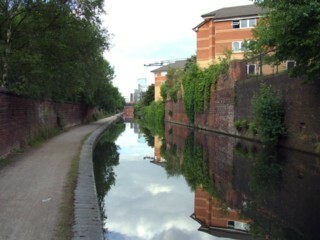 Looking to the North, the Worcester & Birmingham Canal to the North of Edgbaston Bath Row Bridge No.87. Les regards portés vers le Nord, le Canal de Worcester & Birmingham au Nord du Pont n°87 de l'Edgbaston Bath Row. 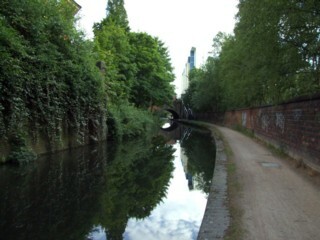 Looking to the North, the Worcester & Birmingham Canal to the South of Granville Street Bridge No.88. 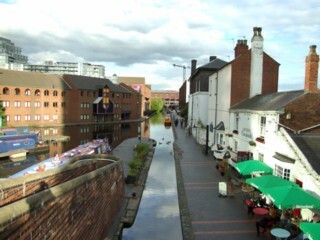 Les regards portés vers le Nord, le Canal de Worcester & Birmingham au Sud du Pont n°88 de la Granville Street. Granville Street Bridge No.88 seen from the South. Le Pont n°88 de la Granville Street vu du Sud. Granville Street Bridge No.88 seen from the North. Le Pont n°88 de la Granville Street vu du Nord. Granville Street Bridge No.88 seen by Google Earth. Le Pont n°88 de la Granville Street vu par Google Earth. 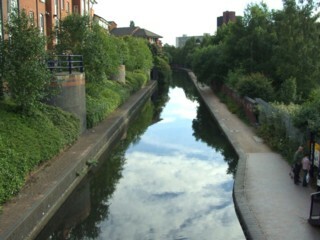 Looking to the South, the Worcester & Birmingham Canal seen from Granville Street Bridge No.88. 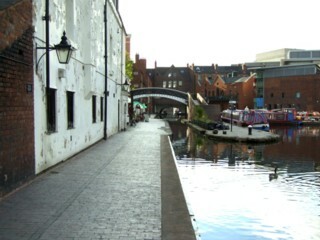 Les regards portés vers le Sud, le Canal de Worcester & Birmingham vu du Pont n°88 de la Granville Street. 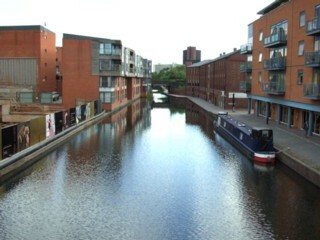 Looking to the North, the Worcester & Birmingham Canal seen from Granville Street Bridge No.88. 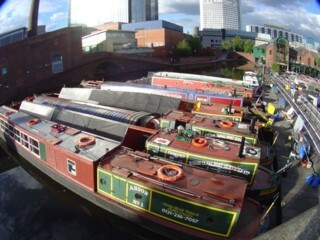 Les regards portés vers le Nord, le Canal de Worcester & Birmingham vu du Pont n°88 de la Granville Street. 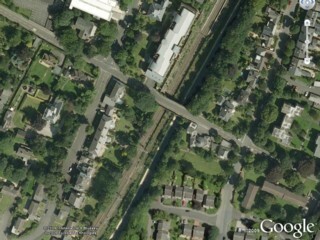 The Mailbox Footbridge No.88A seen by Google Earth. 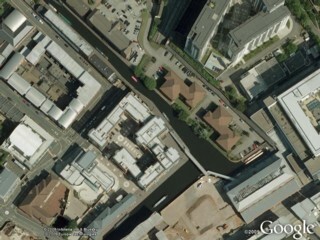 La Passerelle n°88A de The Mailbox vue par Google Earth. 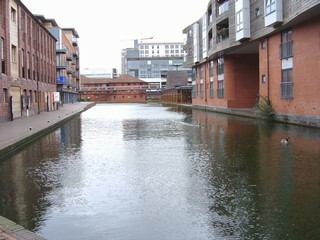 Looking to the South, the Worcester & Birmingham Canal seen from The Mailbox Footbridge No.88A. Les regards portés vers le Sud, le Canal de Worcester & Birmingham vu de la Passerelle n°88A de The Mailbox. 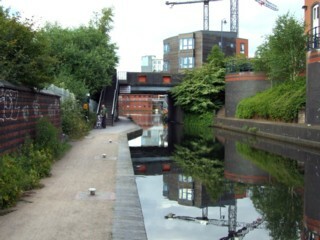 Looking to the East, the Worcester & Birmingham Canal to the East of Worcester Bar Footbridge. 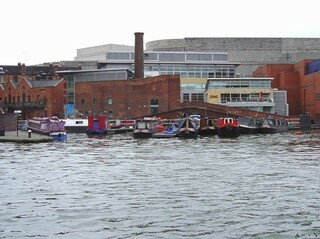 Les regards portés vers l'Est, le Canal de Worcester & Birmingham à l'Est de la Passerelle de la Barrière de Worcester. 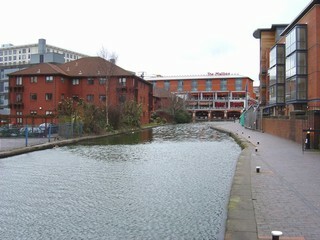 Worcester Bar Footbridge seen from the East. La Passerelle de la Barrière de Worcester vue de l'Est. 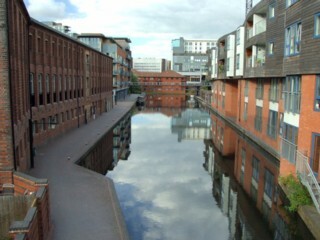 Gas Street Basin seen by Google Earth. Le Bassin de la rue du Gaz vu par Google Earth. 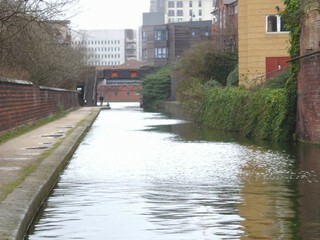 Looking to the East, the Worcester & Birmingham Canal seen from Worcester Bar Footbridge. Les regards portés vers l'Est, le Canal de Worcester & Birmingham vu de la Passerelle de la Barrière de Worcester. Le Bassin de la rue du Gaz. 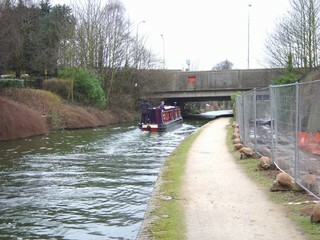 To the East of Worcester Bar Footbridge. A l'Est de la Passerelle de la Barrière de Worcester.